Hiroyuki Kitaura is a film historian who specialises in postwar Japanese films. 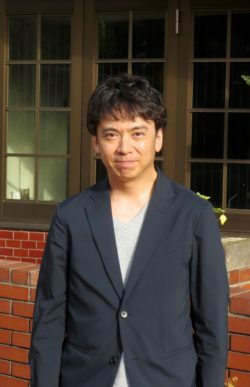 He obtained his PhD from Kyoto University with a dissertation titled Changes in Japanese Cinema Accompanying the Spread of Television: Industry, Technology, and Content. His dissertation considers the process during which Japanese film screening, following its heyday in the 1950s, went into decline from the 1960s onward with the rise in television sales and other media consumption opportunities of that era. The outcome of his research has been published in his new book, Japanese Movies during the Growth Period of Television: Dramas in Media Interactions (Aichi: University of Nagoya Press, 2018). Hiroyuki was an assistant professor from April 2013 to March 2018 at the International Research Center for Japanese Studies (Nichibunken), which is an inter-university research institute in Kyoto. Hiroyuki has been working at the forefront of Japanese studies research in Kyoto and looks forward to applying innovative approaches in his projects during his fellowship here. He is planning to look into the history of overseas development and acceptance of Japanese films and Anime, mainly works by Toei Company, during his fellowship.